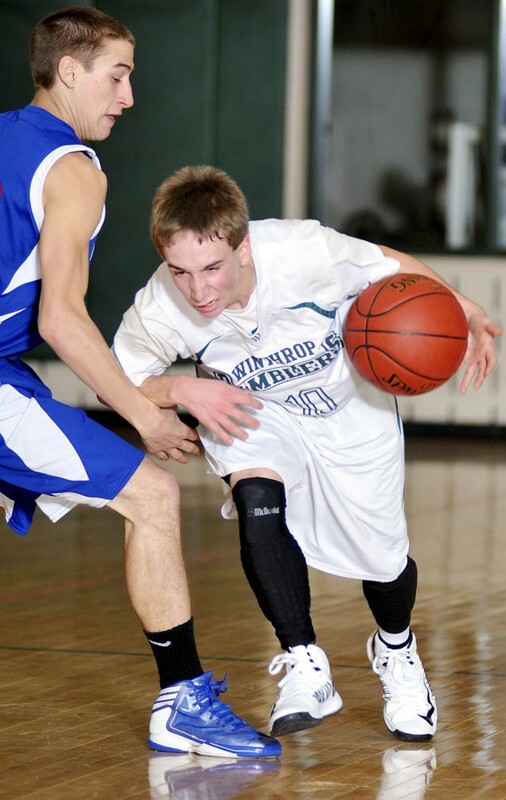 WINTHROP — Crispin Blanda had 14 points and five steals to lead the Winthrop High School boys basketball team to a 61-48 win over Oak Hill in a Mountain Valley Conference game Monday night. WINTHROP — Crispin Banda had 14 points and five steals to lead the Winthrop High School boys basketball team to a 61-48 win over Oak Hill in a Mountain Valley Conference game Monday night. Taylor Morang scored 13 points and Hunter Kilgore added 12 for Winthrop, which trailed 12-10 after the first quarter. Dakota Carter grabbed 10 rebounds. Parker Asselin scored a team-high 12 points and Luke Washburn added 11 for the Raiders (5-10). Hall-Dale 62, Lisbon 37: Mike Woods scored 19 points and Brian Allen added 16 to lead the Bulldogs to the MVC win in Lisbon. Hall-Dale (9-6) pulled away in the third quarter, outscoring the Greyhounds 17-5. Tucker Brannon led Lisbon (3-12) with 15 points. Oak Hill 46, Winthrop 20: Julie Morneault scored 11 points and Haley Marshall added nine to lead the Raiders in Winthrop. Grace Sabine chipped in with six points for Oak Hill (8-7). Cat Ouellette scored six points to pace the Ramblers (1-14).